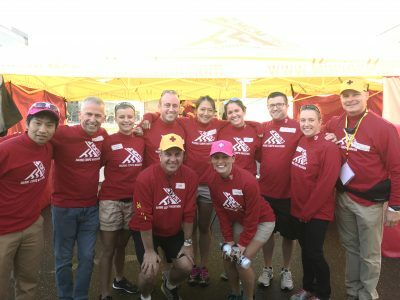 Every October, members of KSI travel to Washington D.C. to volunteer at the Marine Corps Marathon medical tent. This year’s trip was also a special one because we were able to continue our efforts from last year in building relationships and exchange ideas with the National Oceanic and Atmospheric Administration (NOAA), Uniformed Services University of the Health Sciences (USUHS), the Occupational Safety and Health Administration (OSHA), and the National Institute for Occupational Safety and Health (NIOSH). On Thursday, October 19th, KSI had the honor of gathering representatives from federal sectors that regulate heat activity modification guidelines or study implications of heat in the welfare of warfighters and laborers. The meeting was sponsored by the National Integrated Heat Health Information System (NIHHIS: https://toolkit.climate.gov/nihhis/), whose mission is to understand global health threat from extreme heat, develop a robust and science-informed response, and build capacity and communication networks to improve resilience. Participating agencies of NIHHIS include: Office of the Assistant Secretary for Preparedness and Response (ASP), Centers for Disease Control and Prevention (CDC), United States Environmental Protection Agency (EPA), the Federal Emergency Management Agency (FEMA), NIOSH, NOAA, OSHA, and the Substance Abuse and Mental Health Services Administration (SAMHSA). 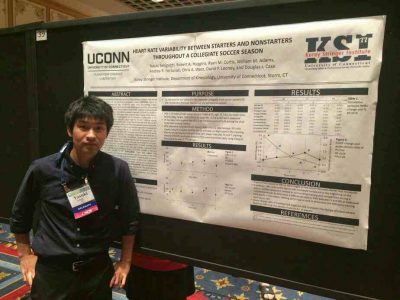 KSI has a good history in working collaboratively with the occupational and military sectors, however, it was not until last year that we were able to gather representatives from all three sectors– athletic, occupational, and military­– to convene at single location and exchange ideas for future collaborations. Integration of climate and weather data from NOAA is also critical in making data driven decision to enhance the policies and guidelines for the people in these settings who are often exposed to extreme heat. 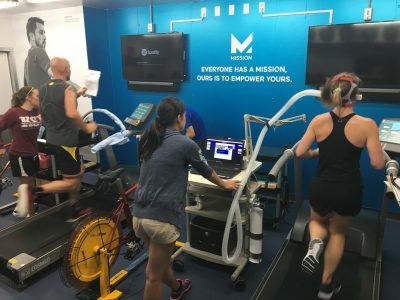 Participants of this year’s meeting are currently working on a manuscript that gathers current consensus regarding heat activity modification guidelines for the physically active population (athletes, warfighters, and laborers), which we hope to release next year. 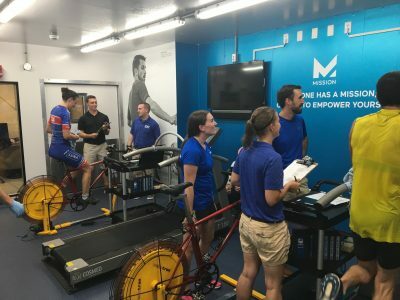 On the following day, we attended the IIRM Sports Medicine Conference hosted by the International Institute for Race Medicine, MedStar Sports Medicine, and MedStar National Rehabilitation Network. The meeting was attended by many medical providers and students who were also volunteering at the Marine Corps Marathon. 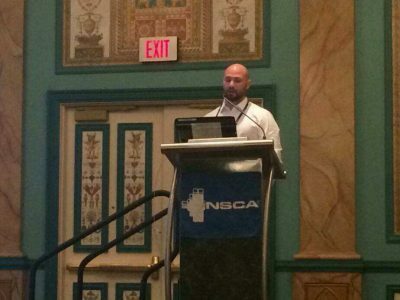 At the meeting, Dr. Douglas Casa gave a presentation regarding wearable technologies in sport. 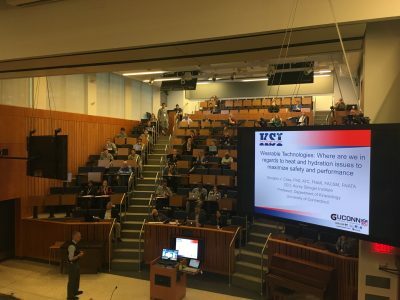 Despite the recent advancement in wearable technology, his presentation warned that there is yet to be reliable, real-time, noninvasive hydration and internal body temperature assessment devices on the market. 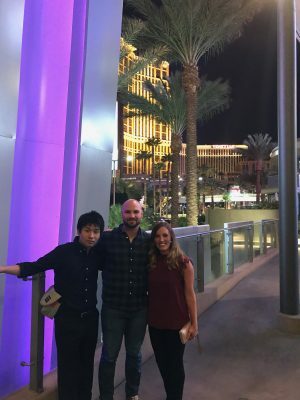 As the field of wearable technology continues to grow, researchers and clinicians must stay up-to-date with the technology advancement while also acknowledging the technological limitations to make the best-informed decisions about using data from these devices. Later in the afternoon of the conference, we also participated in a workshop that was designed to review various treatment algorithms for medical conditions commonly seen at race medical tents in the form of problem-based-learning scenarios. 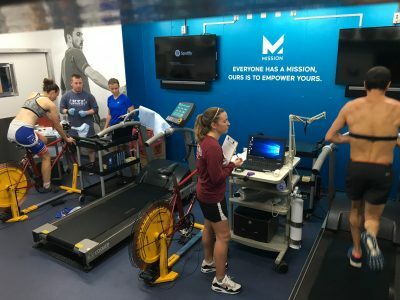 Exercise-associated collapse, cardiovascular arrest, exertional heat stroke, exertional hyponatremia, exercise associated muscle cramping and bleeding-control were covered in the workshop, all lead by the content experts. 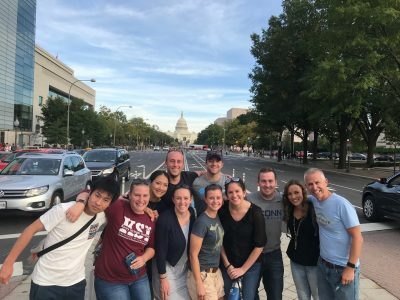 The hands-on workshop provided opportunities for young professionals to practice the skills for the first time and stimulated the exchange of various experiences from the veteran providers. KSI was stationed at the Aid Station 9 on the day of the race, which was located between mile-21 and 22. The wet bulb globe temperature reading one-hour past the start of the race was in the mid-60’s, but quickly reached the high 70’s by noon, placing this year’s race as one of the warmer race in the history of the Marine Corps Marathon. The coordination of work among the corpsmen, athletic trainers, nurses, physical therapists, and physicians at the aid station was great. We also treated several exertional heat stroke patients on-site, where we made sure to cool the patients below 39°C before transport. The weekend of August 26th found eight close members of the KSI family at Northfield Mountain, MA, ready to take on a grueling 121.6 mile trail relay. 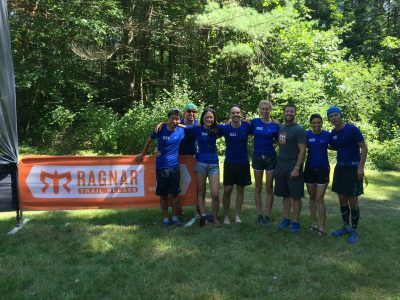 The Ragnar Relay consists of a team of 8 people, who all run three distinct loops of varying distances to complete this race (the three loops amount to 15.2 miles total per person). The team members take turns, running one at a time and through the night to complete each round of loops and reach the finish line. 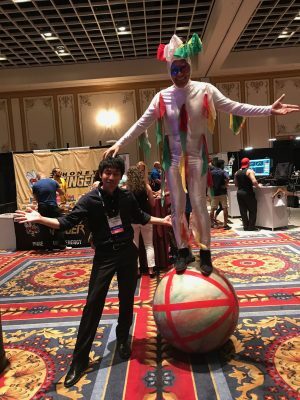 The most elite teams have finished this course in about 15 hours, but the KSI team only had 24 hours to complete the course to officially complete the race. Lucky members are able to even catch a few hours of sleep between their running loops. 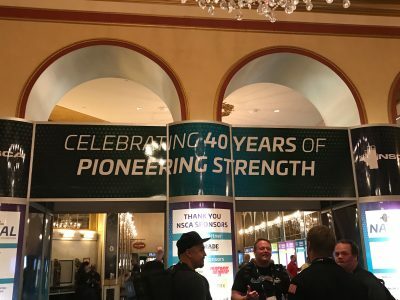 The KSI team finished in 22 hours and 44 minutes, which clinched the Corporate Team category by over 1 hour. The team also placed 3rd overall for the mixed team division and 11th out of the 150 teams participating. The winning time this year, given the new course route, was 19:33.05. 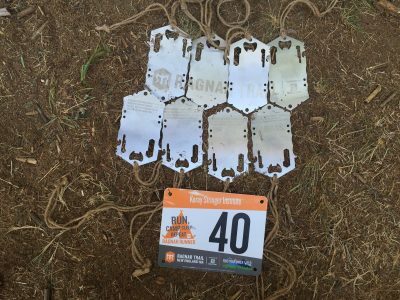 In true team fashion, the rugged finish medals all create a Ragnar puzzle with fitted together. A big congratulation to all the team members that participated! 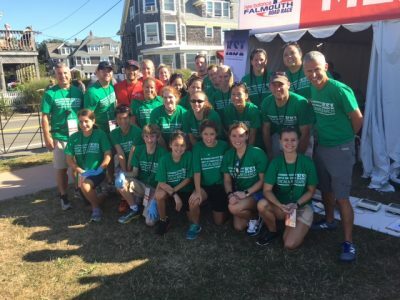 Twenty-seven research and medical volunteers from the Korey Stringer Institute, EC Lee Lab and University of Connecticut joined the 44th New Balance Falmouth Road Race in Falmouth, MA on August 21st. 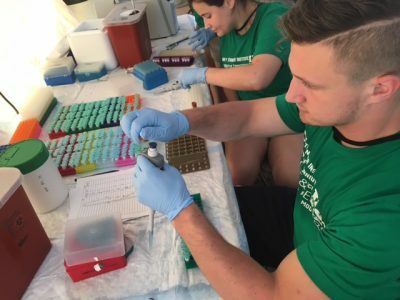 This was the fourth consecutive year in which KSI conducted a field research study at the race in conjunction with working in the medical tent treating exertional heat stroke patients. 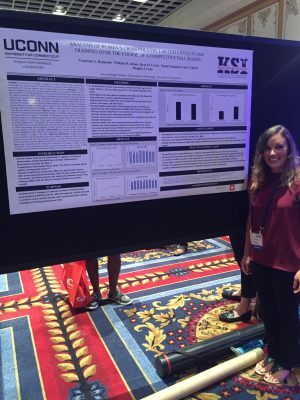 In this year’s study, we aimed to (1) investigate runner’s knowledge on heat and hydration and behaviors on race day and (2) investigate the use of real time gastrointestinal temperature feedback in altering runner’s behavior during the race. 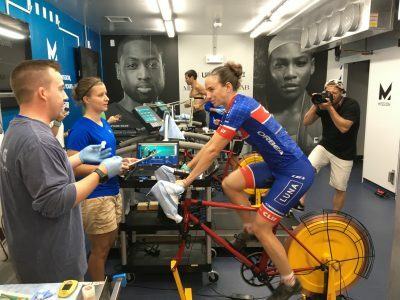 We also assessed participants’ readiness to exercise in the heat by measuring their cardiovascular fitness and their response to heat stress in our environmental chamber. 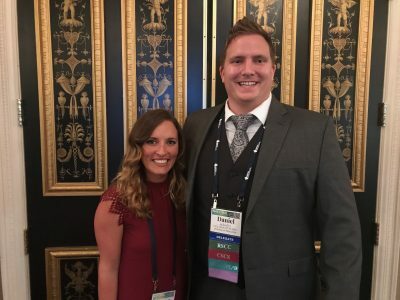 KSI’s Rebecca Stearns, PhD, ATC and Luke Belval, MS, ATC also spoke at the Medical Symposium hosted by the Falmouth Hospital, which was attended by many medical volunteers and local healthcare professionals. Dr. Stearns’ presentation, The Tale of Two Heat Strokes, introduced case studies of two runners who suffered from exertional heat stroke at the same race with distinctly different prognosis due to the different treatment they received. Belval’s presentation, The Fluid Needs for Today’s Athletes, provided evidence-based suggestions on hydration. 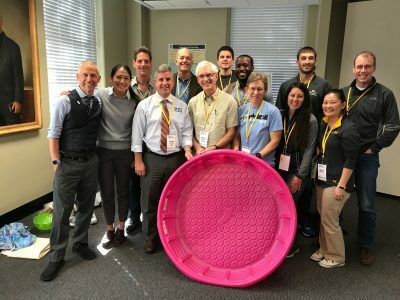 At the Health & Fitness Expo, William Adams, PhD, ATC spoke on Optimizing Safety and Maximizing Performance During Running the Heat, which was attended by many runners who were going to be racing the following day. 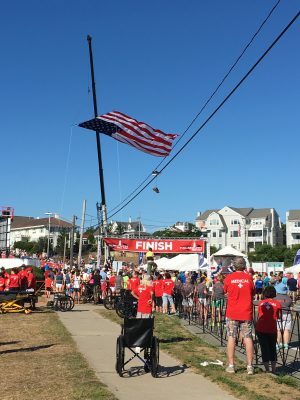 We would like to thank the Falmouth Road Race Board of Directors for their continued support and partnership with the Korey Stringer Institute in supporting our mission to educate runners and continue our research in ways to optimize their performance and safety during warm weather road races such as Falmouth Road Race.